Mailed 3/18/15 to Subscribers. Allow 4-6 weeks for USPS delivery. 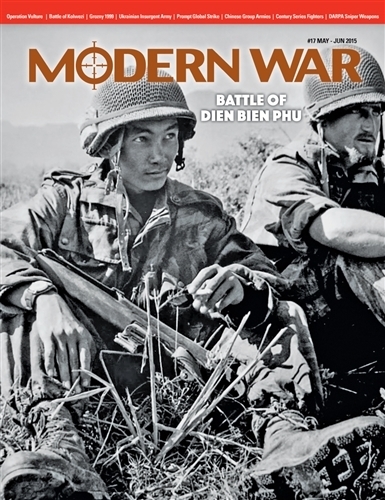 Dien Bien Phu: The French Expeditionary Force makes an epic stand against the communist Viet Minh at a remote jungle fortress. Operation Vulture: Plans for a US airstrike to rescue the French at Dien Bien Phu. Kolwezi 1979: French Foreign Legion paras rescue hostages in the embattled Congo. Prompt Global Strike: US plans for delivering attacks anywhere in the world on short notice. DARPA Snipers: One shot one kill rifles are now on line.